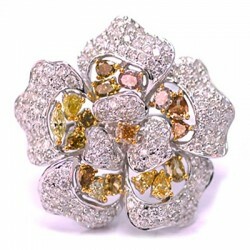 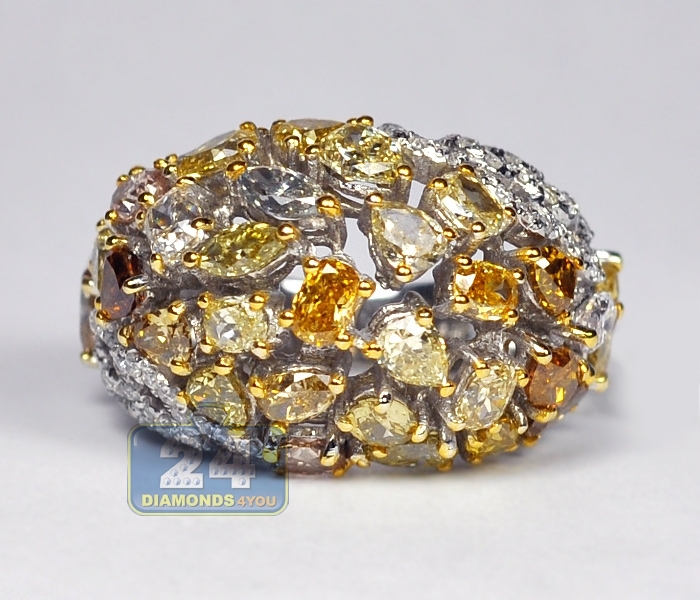 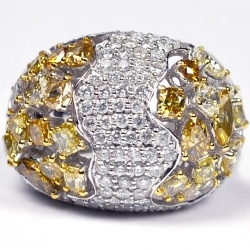 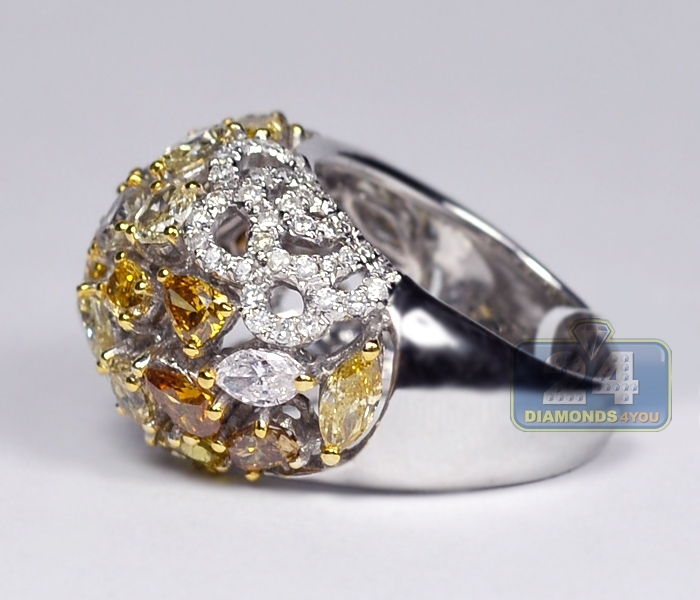 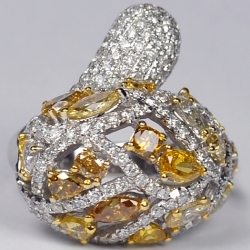 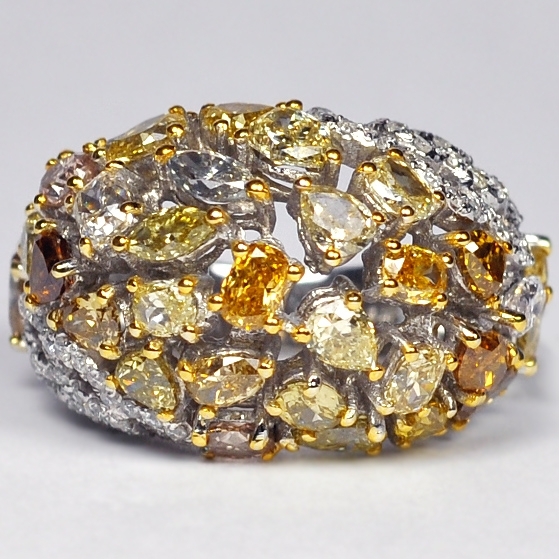 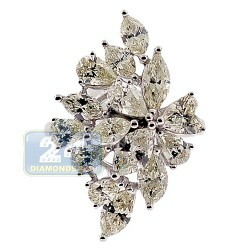 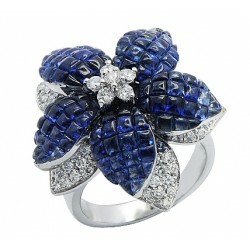 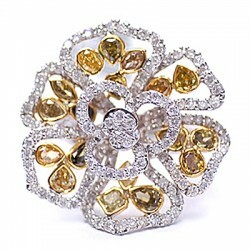 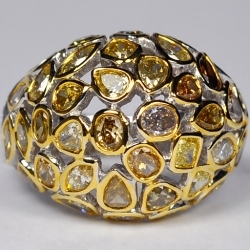 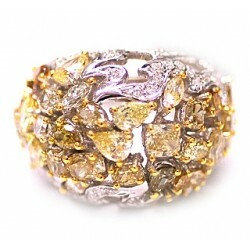 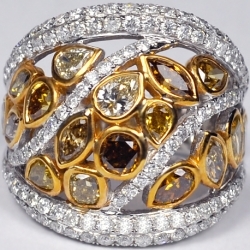 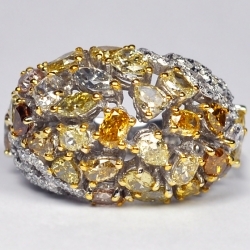 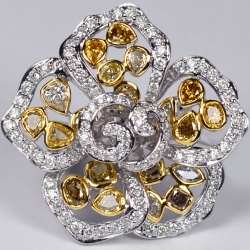 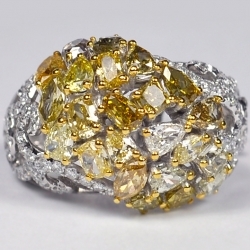 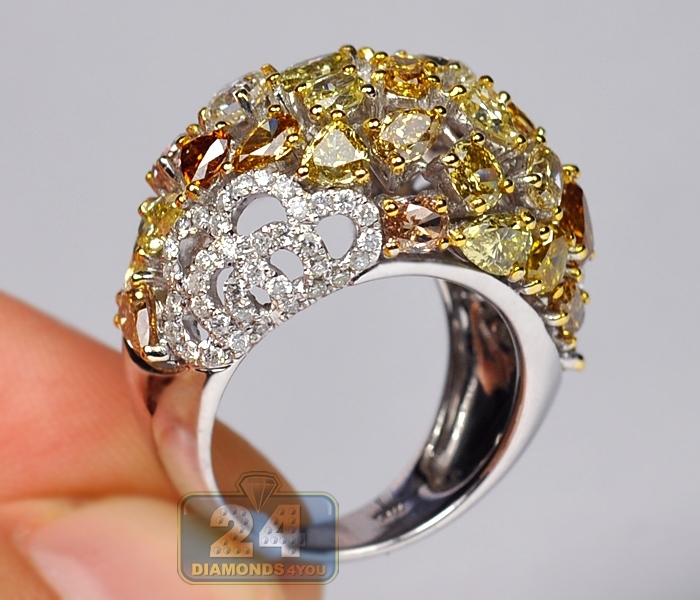 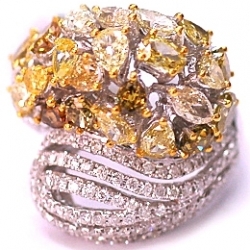 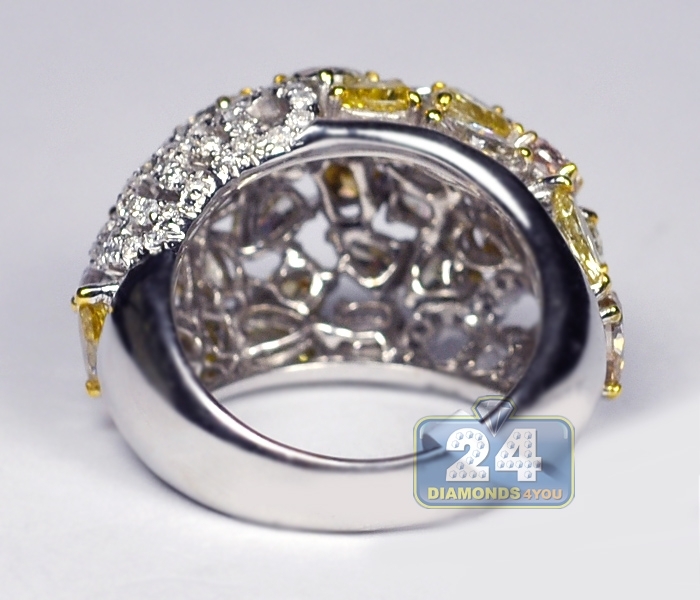 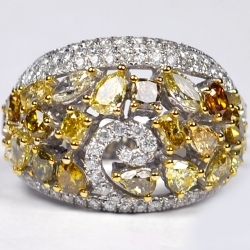 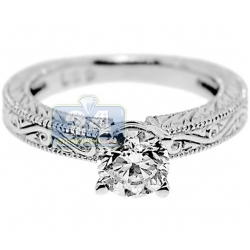 Make a gorgeous and amazing appearance with this fancy dome ring! 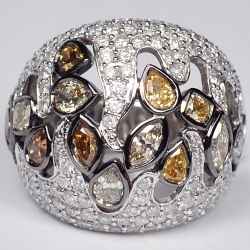 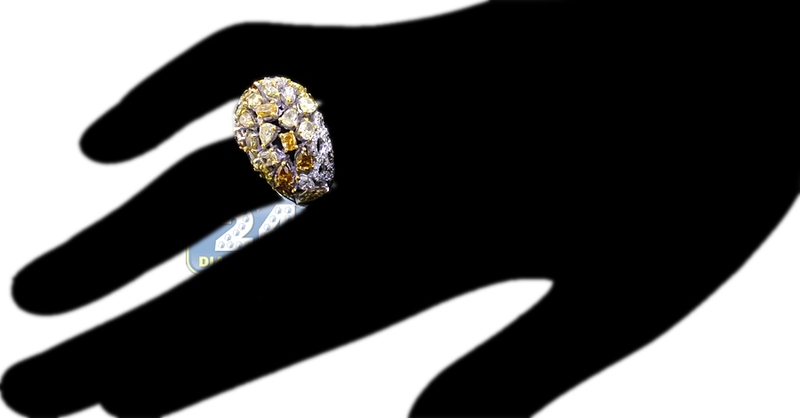 Lustrous 14k white gold has been masterfully handcrafted into an unique design that features natural multicolored as well as classic white diamonds. 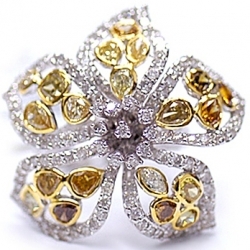 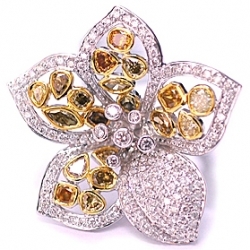 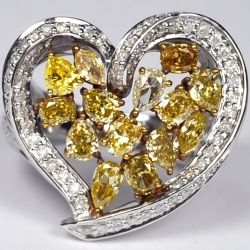 You may find the natural shadows of yellow, green and brownish stones of round, oval and pear shapes. 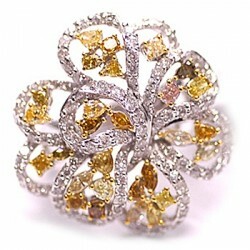 Surprise someone special with such an original jewelry piece!